Adam Penenberg first entered my radar in 2008, when an interview he wrote about Gina Bianchini (co-founder of Ning, a platform that lets you create your own social network) was published in Fast Company. In it, he also interviewed Marc Andreessen and introduced the rest of us to viral loops, showing how Ning was growing virally by virtue of a “double viral loop”: every social network creator is a user and every user is a potential network creator. At the time of this review, there are nearly 2 million social networks on Ning. 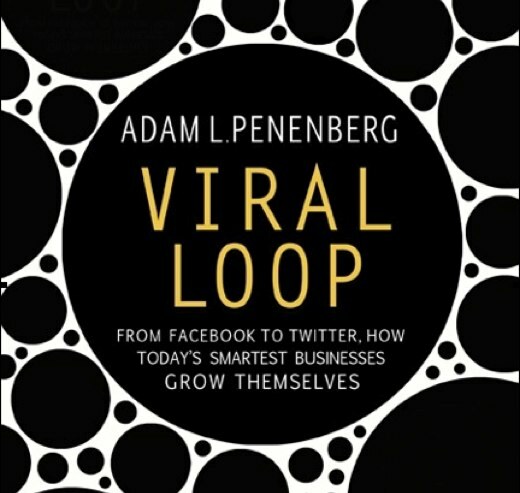 Penenberg breaks down Viral Loop in three parts: Viral Businesses, Viral Marketing and Viral Network. In the first part, he walks the reader from the original viral models (Tupperware and Ponzi schemes); through a fascinating story of the first online expansion viral loop which led to the introduction of Andreessen’s Mosaic and, later, Netscape too; and wraps up with a detailed explanation of Ning, how it accomplishes its viral growth and the elements (technical and cultural) that make viral businesses possible. The Viral Marketing part, shares stories of Hotmail and the Diet Coke-Mentos Geysers video among others, giving interesting insights into accomplishing viral growth through marketing. The Viral Networks part takes up almost half the book. It dedicates individual chapters to the most successful networks that grew virally: I only wish he had dedicated more space to discussing Twitter. It was very interesting to read how initial stiff competition between PayPal and eBay (two of the companies covered) resulted in the latter buying the PayPal (dubbed as “the first stackable network” by Penenberg), after eBay attempted to go against them with their own flavor of the service. Viral Loop closes leaving the door open to the future, discussing the search for a new ad unit to adequately fit the new space of viral networks and privacy matters in this new era. Although I felt there was a missed opportunity to discuss more in depth about the importance of interactions between users (there seemed to be more emphasis on just number of users alone), if you want to understand of how companies like Ning, Facebook and Paypal have grown virally, this is a great starting point. Another title I recommend in connection with this one is Sarah Lacy’s Once You’re Lucky, Twice You’re Good: The Rebirth of Silicon Valley and the Rise of Web 2.0, another great title that complements Penenberg’s book very nicely. How to become a Twitter Trending Topic? Nearly 20,000 outraged (or inspired) people that feel deprived from their freedom of expression will do it! The Twitter hashtag #FreeMediaVE made it to the list of Twitter Trending Topics today (shortly followed by the hashtag #Venezuela) as a result of the decision by the Chavez administration to silence 34 Venezuelan radio stations.